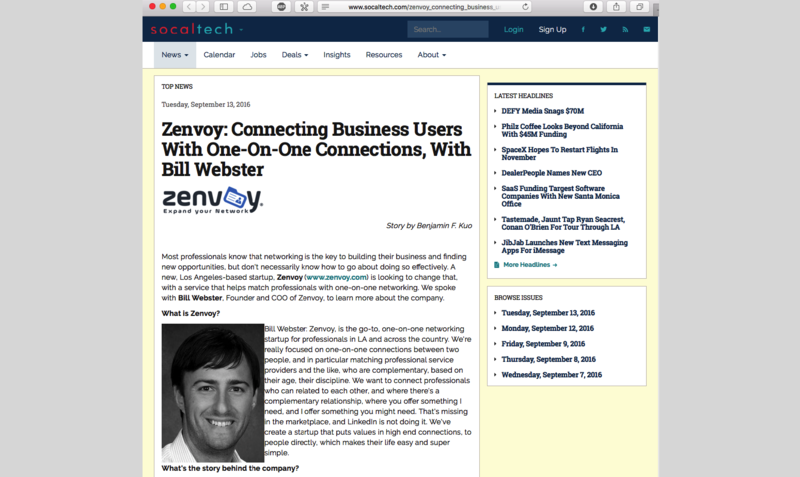 Zenvoy was featured in socalTECH, the premier tech industry website in southern California in September 2016. Click below to download the article in PDF format. Please contact info@zenvoy.com for further information.